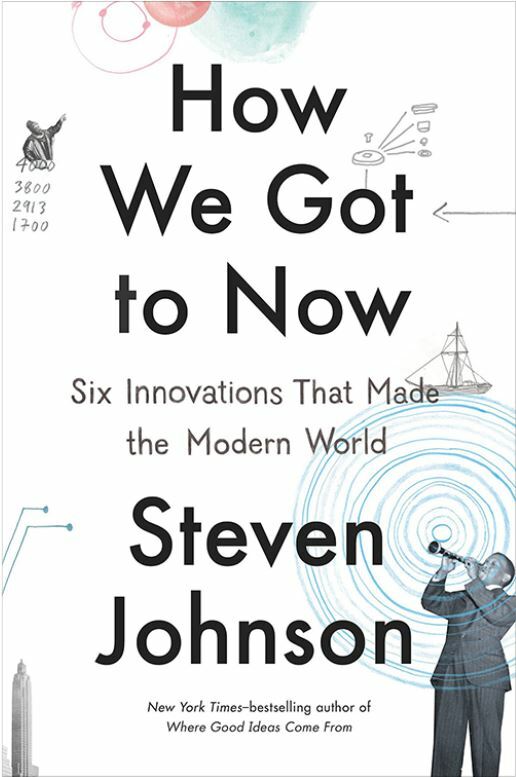 How We Got to Now: Six Innovations That Made the Modern World by Steven Johnson is by far one of the most interesting history books I have read. Johnson provides an in-depth look at the history for six technologies that impact our daily lives. As you read through each subject, you will brush upon names you know, but the overwhelming majority of the stories are about people you have never heard of, but these unknown people were instrumental in creating the technology. In the story of light, Johnson explains that although the usual telling of the story about the light bulb is Thomas Edison worked hard and finally figured out how to create a working electric bulb. But, Johnson says, saying Edison invented the light bulb is like saying Steve Jobs invented the mp3 player. Johnson goes on to list name after name of inventors who had already created a working light bulb. Edison greatest contribution to innovation, Johnson asserts, was his ability to assemble one of the greatest teams of inventors, specialists and makers. In the story of light, Johnson also speaks to colonial use of whale oil for candles. As a child I always presumed that whale oil was created from whale blubber. Johnson explains, though, that the whale oil is extracted from sperm whales. These whales carried as much as 500 gallons of oil in the cavity above their brains. To harvest the oil, men would carve a hole in the side of a dead whale’s skull, climb inside and then remove the oily, sticky substance. Johnson goes back to the original discovery or creation of the product in each of the topics and then traces that technology’s history up to the present day. Along the way, he reports on some of the unintended consequences of the products (like the creation of household bleach) and how some of these inventions changed social norms (air conditioning changed the country’s political map). There is also a PBS series based on the book. It was released in 2014. Rated: 5 out of 5 stars. This is a very enjoyable and engaging read especially for those who enjoy the history of inventions or learning about the hobbyists and non-mainstream inventors who re-invented the world.